It IS a very interesting concept, however, resources are limited. First question: 4G has always been super expensive, but I have rarely seen anyone who used it as more than just fashion. A good way to combat the expenses it to look for sales of the skins or to grab MS when there's bonuses. typically what players like to suggest or seek after. Is it possible to make universal trickster capes tradable in game? Hi would it be possible to make the original supporter guild's hat show ears? I know they removed visible ears from it months back when they released new colors but yeah, I dont really see anyone else wearing the hat... and you could keep ears invisible for the colored ones but visible for the original ones? Either way, thanks a lot for your consideration! Guys, I've picked up many of your suggestions for boxes/wings/hats, and we will update MyShop this coming Friday. This is a minor maintenance; we will do our regular maintenance for August. This is the first time we are scaling down; sorry, we just need a bit of a break. Things happened in life that kinda make us need a bit of time to ourselves, but don't worry, our server is good; we are not going anywhere. Box suggestions that I don't pick up, that means they are reserved for August. Item fixes will also be taken up in August maintenance. Please keep the bug reports & suggestions coming. Happy Canada Day to all our Canadian players and Happy 4th of July to all our American players. Please just re-log & re-patch for your client files to be updated. You can continue posting suggestions in this patch note here, or in the new patch note (see link above). Can someone help me with the Stats of the hammer set? 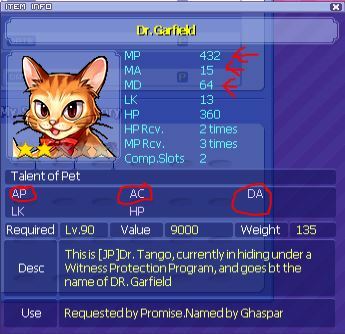 I can't find ANY wiki-page with the stats of the equips/pet. Edit: and also the Dragon Box 70's cape stats please! When looking for items you can sometimes find the boxes in the forums. On the forum scroll down to "Trickster Online Discussion". Under the "Guides" navigation there is a "Boxes/Items" tab. Sometimes the items you may be looking for are under here. Changes to Ears, Tails and Fashion will be put on hold. Items that are undroppable will not be able to be dropped by the boss. Therefore, all legendary uniques cannot be made undroppable; otherwise the bosses will not drop them and no one would be able to get them.